The rising cost of tuition and fees at US colleges has rendered college unaffordable for many families. The average US college student now graduates with over $35,000 in debt. If you want to avoid taking on student loans (or to avoid paying high tuition for your children), consider foreign universities. Here are some of the countries with free college for American students. 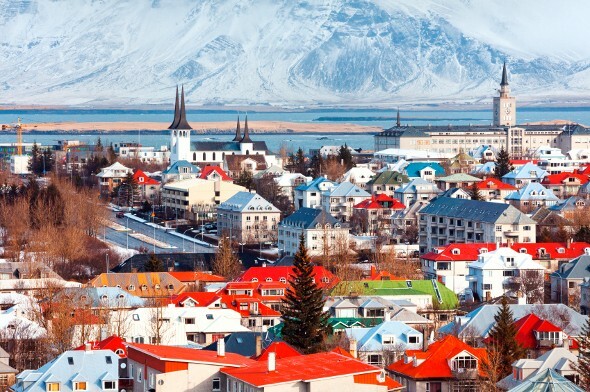 If you can handle the winters, Iceland is a great place to get a free college education at one of the country’s public universities. Icelandic is a notoriously tough language, though, so make sure the classes you sign up for are taught in English. Oh, and bring plenty of spending money. Living expenses in Iceland are high. Scandinavia is a cluster of countries with free college. Sweden, Norway and Denmark all have free college, but there’s a catch. Only Sweden and Norway have free college for Americans. Want to study in Denmark as an American? You’ll need to pay tuition unless you’re on an exchange program or you have a tie to Denmark or the EU. Like Iceland, Sweden and Norway are expensive places to live. Budget accordingly. 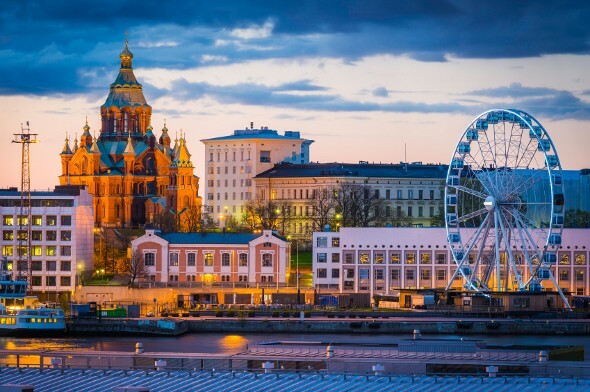 If that picture of beautiful Helsinki isn’t tempting enough, consider the free tuition available at Finnish universities. Thousands of international students head to Finland each year to take advantage of the no-cost education at over a dozen universities. Finland also boasts an impressive roster of institutes of technology for the scientifically inclined. Calculate the cost of college. Germany is a particularly popular destination for American students who want a free college education. Whether you speak German or want to take classes in English you’ll find plenty of options. 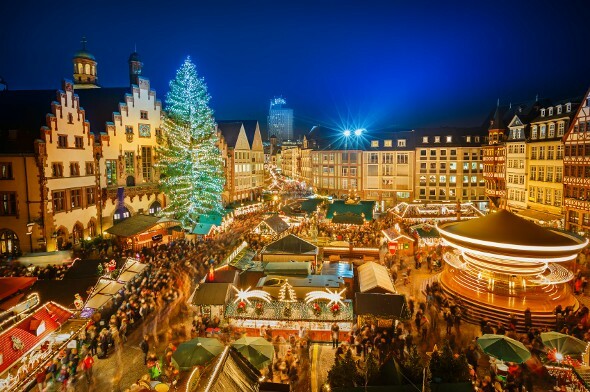 What if you fall in love with Germany and want to stay there after you graduate? The government probably wouldn’t object. Attracting skilled workers is a big part of the reason countries offer college courses in English. Related Article: When Is Grad School Worth the Cost? Slovenia boasts castles, hiking, wine country and free college. It’s a less well-known option than Germany but it’s got a lot going for it. You can take classes in English, but you should probably learn how to pronounce the name of the capital, Ljubljana, before you go. For a nominal fee of around 200 euros, you can study at one of France’s excellent public universities. Expect to pay more if you want to study medicine or engineering. Seeking a degree in France is a particularly common practice among graduate students. Some US colleges and universities even offer joint degrees with the prestigious Sciences Po in Paris. Brazil’s free higher education doesn’t get as much attention as its European counterparts. Americans who don’t speak Portuguese can go for the English-language offerings at Brazilian universities. Aside from minor registration fees you won’t pay for your education. Plus, your living expenses will likely be lower in Brazil than they would be in one of the European countries where college is free. These days, if you want to get an affordable college education you have to think outside the box. That could mean starting at community college and transferring, staying in-state for school, hustling to get scholarships and grants or even moving abroad for college. With each year that US tuition rises, the countries with free college look more appealing. If you’re a parent reading this, consider investing in a 529 plan for your child. Read our guide to 529 plans before picking a state plan. If your child does end up getting a free college education, you have the flexibility of changing the beneficiary. Consider working with a financial advisor. You can buy a 529 plan through a financial advisor, as well as formulate a plan for paying for college without sacrificing your other financial goals. A matching tool like SmartAsset’s SmartAdvisor can help you find a person to work with to meet your needs. First you’ll answer a series of questions about your situation and goals. Then the program will narrow down your options from thousands of advisors to three fiduciaries who suit your needs. You can then read their profiles to learn more about them, interview them on the phone or in person and choose who to work with in the future. This allows you to find a good fit while the program does much of the hard work for you.